Pat is a co-host on the Breakfast Show for Hepburn Community Radio on air Monday - Friday 7 - 9am. Pat has lived in Hepburn for 25 years and it doesn't seem a day too much. 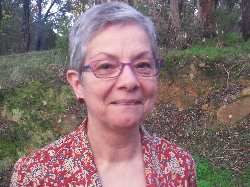 She is involved with a number of local organisations such as; The Daylesford Neighbourhood Centre, Daylesford Cinema, U3A and is a volunteer driver for Hepburn Health. During her working life Pat was a psychologist, a teacher a trainer and a lecturer amongst other things but her favourite job was as a hotel receptionist where she got paid just to be nice to people. She hopes that HCR will bring together people of all ages, from all over the Shire. Max is one of the presenters on the Breakfast Show at Hepburn Community Radio on air Monday - Friday 7 - 9 am. Max has spent the last 8 years hosting a show on community radio station Rainbow Radio. He brings his vivacious personality, love of life and the community to the Breakfast Show. Also know in the community for his involvement in the Chill Out Festival as Drag Queen; Di-Alysis and member of the Chill Out committee and now involved in The Daylesford Cinema and Committee member for Hepburn Community Radio. 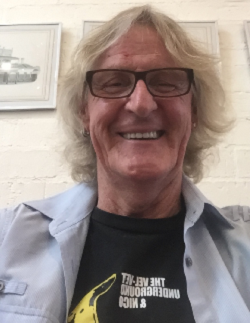 Trevor is a co- presenter on the Breakfast Show at Hepburn Community Radio on air Monday - Friday 7 - 9 am and Host of the Album Show on Saturday at 10am. After a failed audition to study drama at university, Trevor graduated in economics and pursued a career in business. Post graduate studies included applied finance, governance and he was awarded the Buttery Medal at Mt Eliza Business School’s Advanced Management Program. He summarises his career as having “hatched, matched and despatched” companies of various sizes and shapes in the public and private sectors. The desire to create and perform however has been never far from his mind. 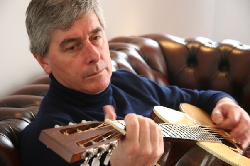 He plays guitar, writes songs and now entertains audiences as one of the presenters on the Breakfast Show and the host of the Album Show on Saturday mornings.